Donald Trump is known as a controversial president of the United States. Since he took over Barrack Obama’s presidency in 2017, he has scored many controversial policies which evoked huge impacts on international politics and economy. A book entitled “Global Politics of United States: from Obama to Trump” by Prof. Dr. Bambang Cipto” states that Trump is relieved by a fact that he proceeds a leadership relay from Obama because in reality Obama has gone through difficult times when he led the United States. “Trump is lucky, Obama has created easy paths to follow,” declared Bambang in a book review, held at Graduate School of Universitas Muhammadiyah Yogyakarta (UMY) on Thursday (28/2). On his book, Bambang explained that Obama and Trump have a different style of leadership. “Obama has a “leading from behind” style which urges the United States to contribute to enforce welfare in the world through various assistances. Meanwhile, Trump is well-known for his ‘America First’ policy, which people describe it as a haughty policy. Characteristically, Trump is a realist, whereas Obama was very diplomatic. Compared to Obama, Trump is more transactional. Trump is also a doctrinal president who often uses hard-power as means. Inversely, Obama was inclined into soft-power means. Concisely, Obama was a realist and liberal-internationalist while Trump is realist-isolationist,” described Bambang. 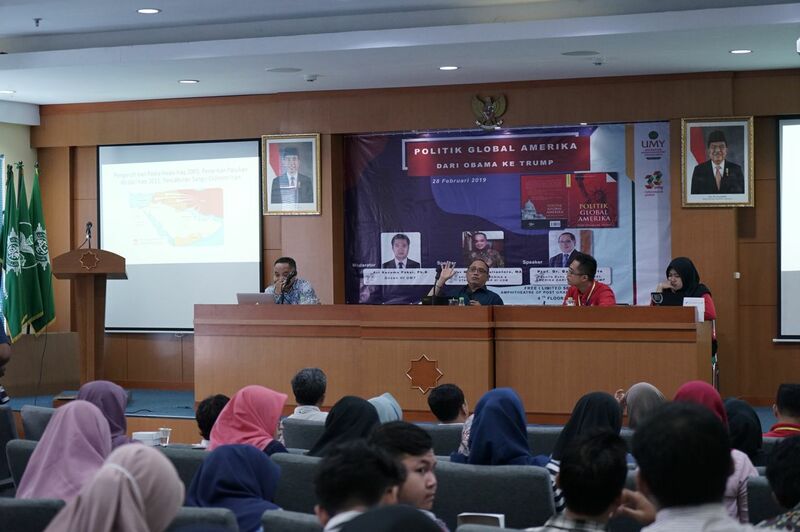 Additionally, the book review was attended by a majority of students from Department of International Relations from all over Daerah Istimewa Yogyakarta. The event also perpetuated a book expo and some discussions to help students learn international issues. Dr. Gunawan Budiyanto, Rector of UMY hoped that Indonesia would generate more young diplomats who can bring merits for the nation. “To commemorate the 38th anniversary of UMY, we need a scientific discussion focusing on international issues. Through an intensive discussion, hopefully students will gain more insights and it encourages them to think deductively, so that it will come in accordance with ‘Millennial and Global’ theme,” he concluded.